I was at Sephora not too long ago looking to spruce up my nail care routine when I came across these little glass bottles with pipets. I’m not even going to lie, I thought they looked super chic so in the basket they went. 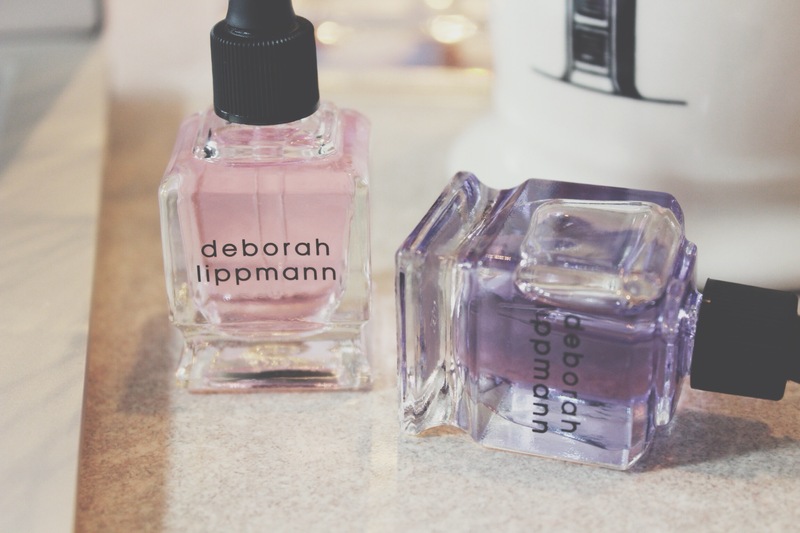 Deborah Lippmann is known for her amazing glitter polishes which come in an array of colors but when it comes to nail care, I really haven’t heard much. I’ve been using them for a few weeks now and I am so happy to have picked them up! DL 2 Second Nail Primer – This stuff really works! It’s meant to be applied prior to your base coat in order to remove dirt, oil, and residue from nails, resulting in a longer-lasting manicure. It smells a bit like alcohol which I don’t mind at all, it isn’t pungent. Before I found this little bottle I would use my nail polish remover to strip the nails before applying my base coat but would leave behind strands from the cotton ball, now all I do is add a drop of this primer on each nail and I’m good to go! DL Cuticle Oil – After I’m done painting my nails I want something fast and easy to add some hydration back to my nail beds. I’d rather an oil than a balm just so I don’t have to stick my fingers in a pot. This cuticle oil smells of coconut mixed with tropical flavors! The formula is fast absorbing, non-sticky, and hydrating. Love the little dropper applicator because it dispenses the amount you see fit. Don’t apply a drop to each finger nail because it will be too much, I find one drop is sufficient for 3-4 fingers. This is such a great way to make your at home manicure last a lot longer than they should. I don’t visit a nail salon because I take care of everything myself all from the comfort of my own home (and bed). These little bottles should last because you only need the smallest amount. I’m eyeing the cuticle remover next, you will be mine . . .